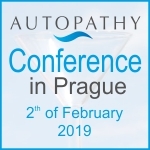 Autopathy is a way to health, a method that has developed out of classical homeopathy and ancient healing traditions. It stimulates subtle information flow called life force, prana or qi. It is not only suitable for professional practice but also for self-care. Autopathy helped already many people. View, or read testimonials from concrete persons.